These little antique fairy lamps or night lights are now highly collectable. I have two matching ones in my Etsy store - THIS LISTING IS FOR ONE ONLY. 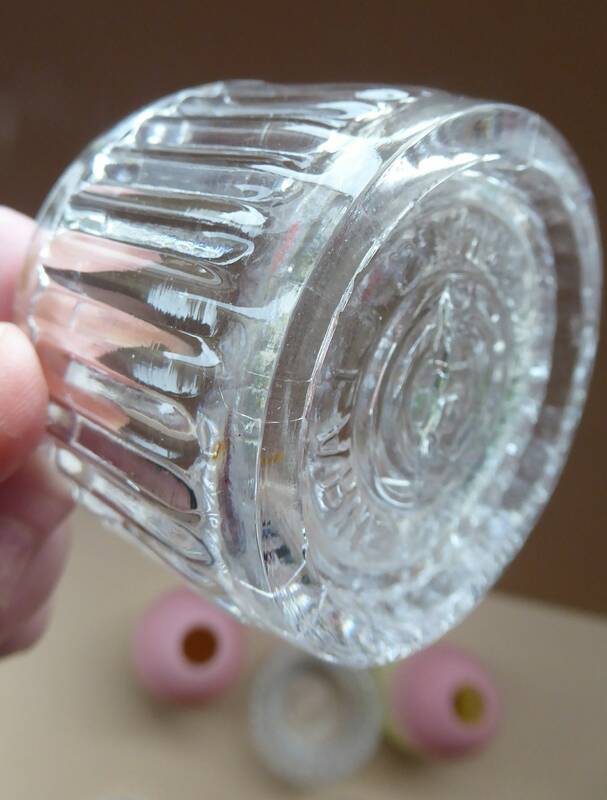 The base is made of clear glass and it has a Clark's Patent Trademark for Cricklite. 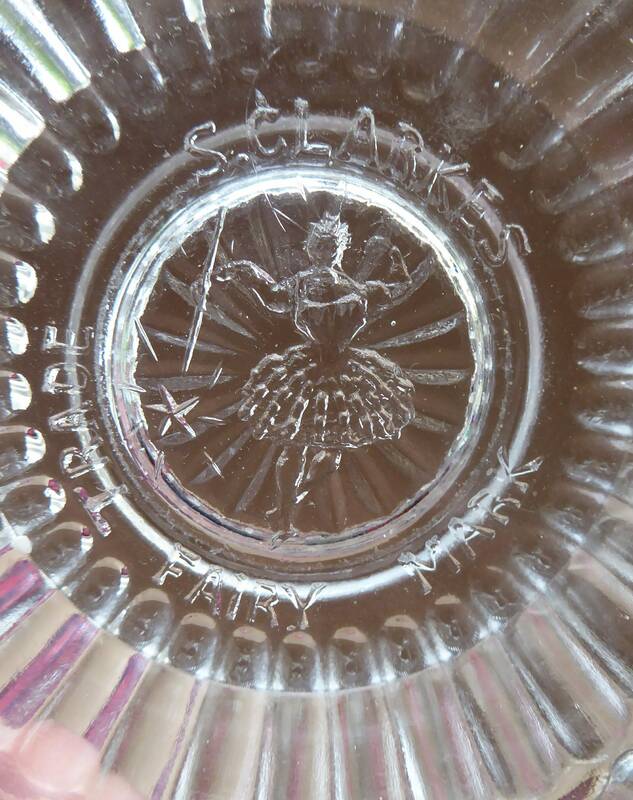 This base consists of two pieces - and the clear glass candle cup holder is embossed on the base: S.CLARKE PATENT FAIRY CRICKLITE with the usual dancing fairy trademark at centre. The base holders are both in damage free condition and originate from the same source. 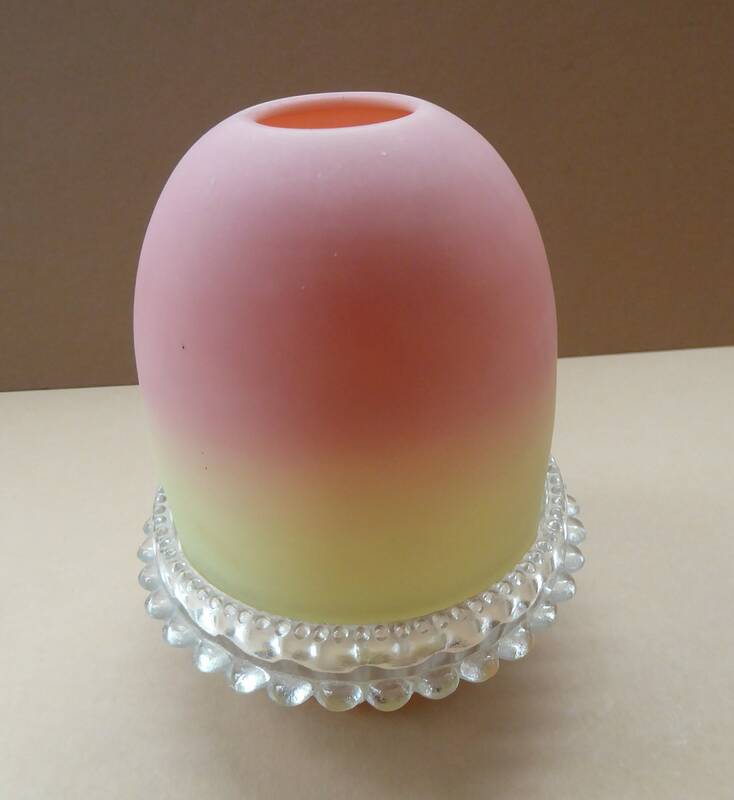 The shade is a pretty blush pink and pale yellow matt (satin) finish Burmese Glass. 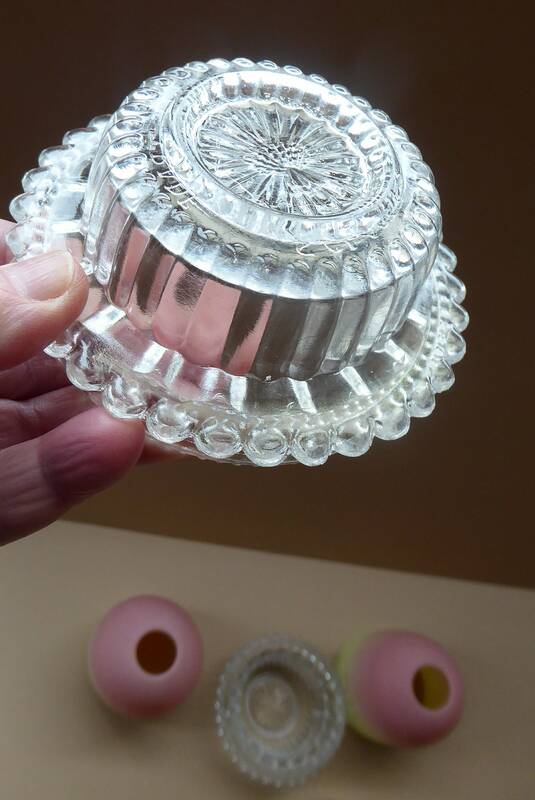 It is in good antique condition - with no major damages - a couple of little frits to the rim where it fits into the clear base - and this has occurred with handling over more than 100 years - to probably acceptable - and indeed taken into consideration with my pricing. I have photographed these in extreme close up for you on each one. 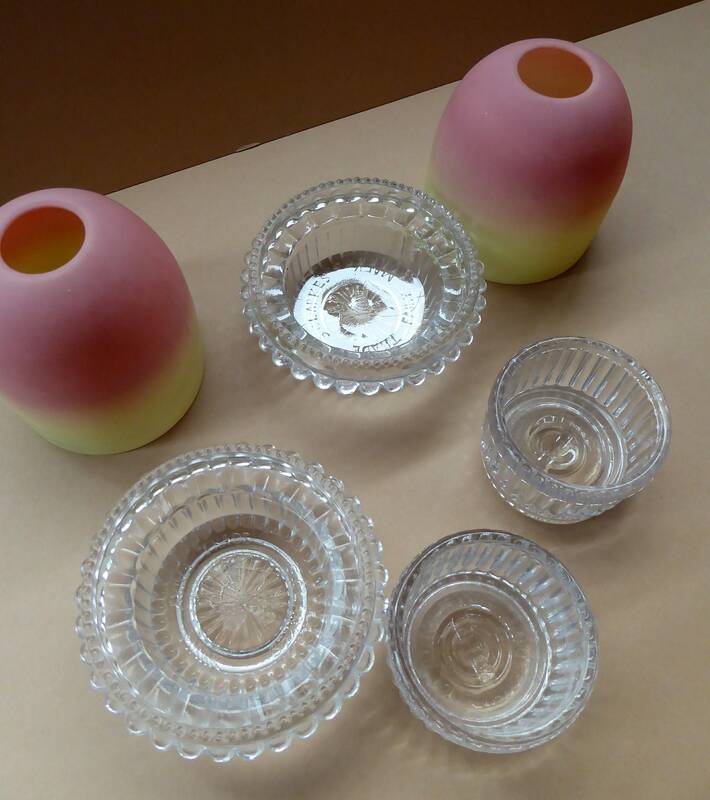 Burmese glass has an interesting history - it was originally made by the American Company, Mount Washington Glass in the early 1880s - and a few years later they gave permission to Thomas Webb to make the glass in England. This fine Burmese glass fairy lamp with matte (satin) finish was made by Thomas Webb in the late 1880s. 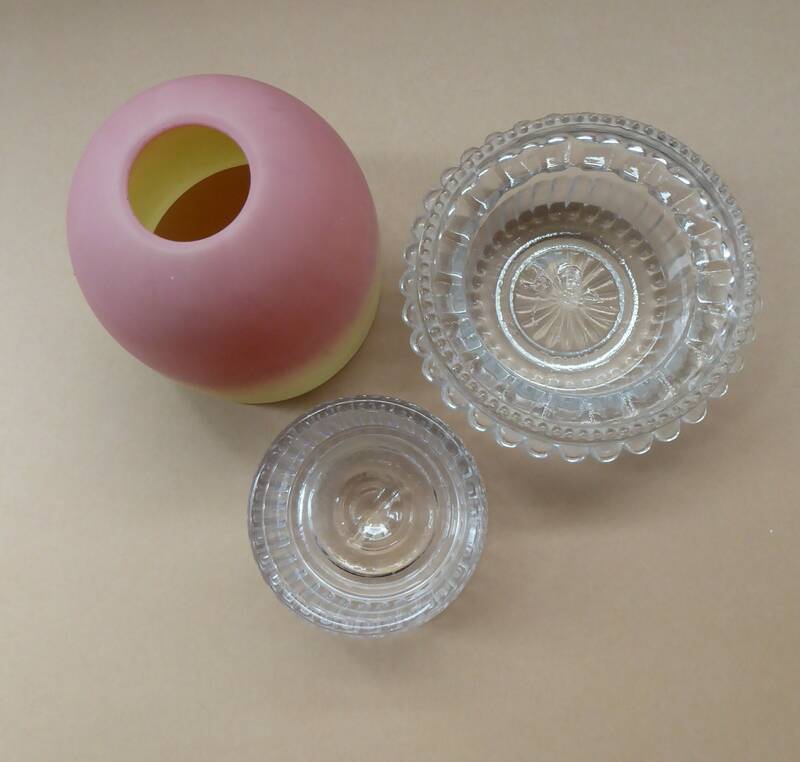 The glass was expensive to produce and was often only made in small quantities. The glass proved to be relatively thin and fragile. 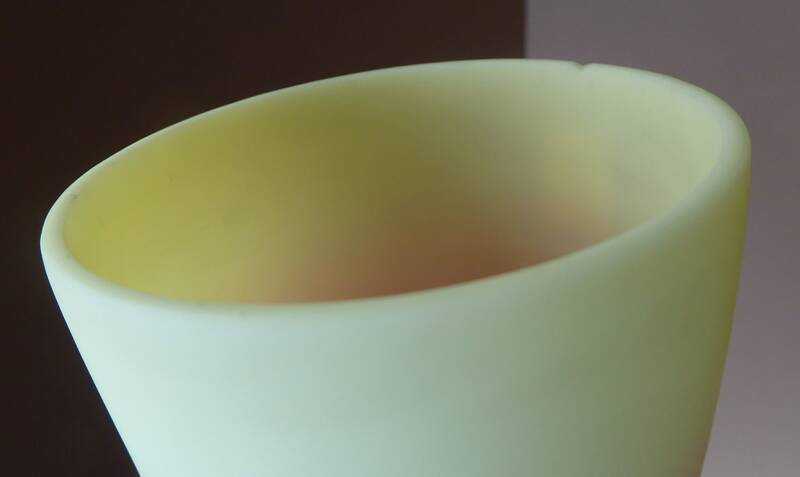 The attractive subtle colours were achieved by adding uranium oxide and gold to the opal glass. 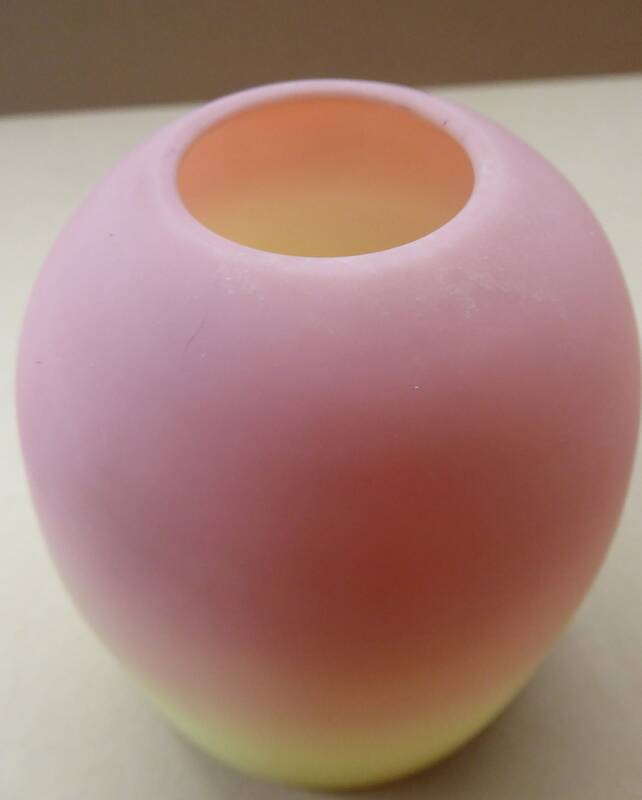 This made the glass a yellow opaque colour - and if you reheated it again - it became the salmon pink colour. 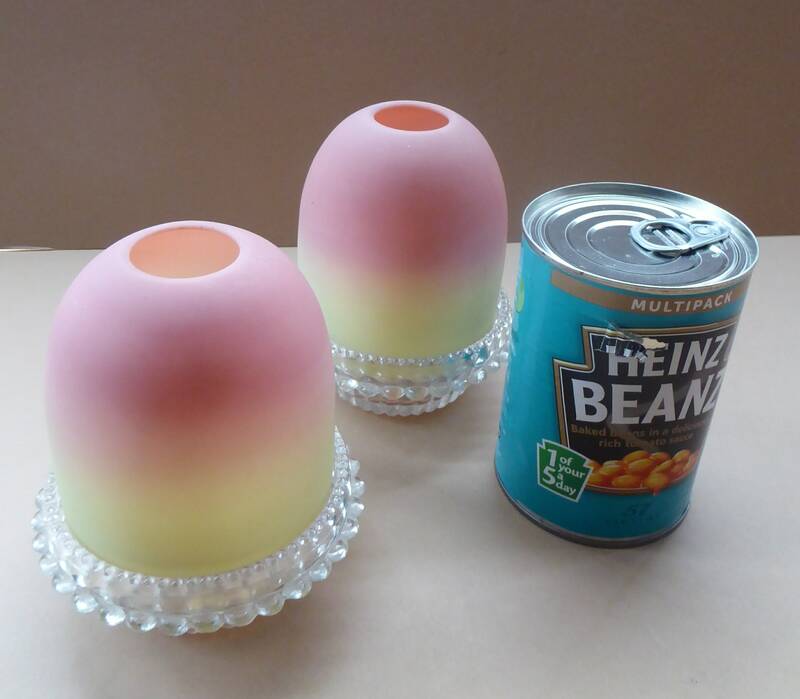 If you reheated again it would turn the pink colour again.